In its “grand bargain” to accommodate big developers, the city ignores its obligation to serve the current residents of Seattle who have paid and continue to pay taxes to build and maintain our communities. We appreciate The Seattle Times’ ongoing coverage of Seattle’s Mandatory Housing Affordability program. As leaders of the administrative appeal challenging the adequacy of the program’s environmental impact statement, we feel it’s our civic duty to tell more of the story about the “grand bargain” between the city and big developers and how it impacts the city’s decision making. In short, the Mandatory Housing Affordability program does not deliver on the city’s own stated values of housing affordability, livability and equity. The MHA program will displace poor and low-income people it is intended to help. Increasing the zoned density inside and outside the urban villages in low, medium, and high-income neighborhoods will drive up land costs, resulting in higher housing and rental costs, and higher property taxes. Many Seattle residents will no longer be able to stay in their affordable homes. Half of the tax returns filed in Seattle are for incomes under $50,000 a year, and many seniors who own their homes are on fixed incomes. More importantly, the MHA goal to build 6,000 low-income housing units is inadequate, when 60,000 low-income units are necessary to address the need. The new construction that the MHA upzones will encourage often destroy naturally affordable older buildings, both rental and owned. There are now half as many units available for families of three making under $45,000 as there were in 2012, according to a McKinsey report. Also, under MHA, developers are more likely to take the option to pay in-lieu fees rather than build affordable housing on-site. Failure to include truly “inclusionary” housing — in new buildings — will accelerate Seattle’s economic and racial re-segregation. Solution: The city should adopt policies recommended in the Solutions to Seattle’s Housing Emergency report to invest more money directly in affordable housing. The city has considerable bonding capacity. Seattle is one of the nation’s most livable cities because of its neighborhoods. MHA proposes to upzone broad areas of the city (allowing greater building height and bulk) without regard to adopted community neighborhood plans. These plans were developed by the city in close cooperation with neighborhood residents, businesses and landowners. They are part of the city’s A Plan for Managing Growth 2015 -2035 Seattle Comprehensive Plan. The neighborhood plans establish a community’s sense of identity, desired development, character, gathering places, open and green spaces. Such livability components are critical for the physical, social and mental well-being of its residents, particularly children and elders. Solution: Rather than disregard the neighborhood plans, the city should follow them, or update them if desired by neighborhoods. The previous neighborhood planning process made Seattle internationally famous because the city supported residents in guiding changes that directly impacted their lives. The city should again be accountable to all community interests, not just a segment of developers. City policies require that city actions be accountable to race and social-justice issues. The city acknowledged that MHA should be subjected to a race and social-justice review, and appointed an interdepartmental team to conduct a review of the MHA EIS. The reviews by the city departments found that the racial-equity analysis in the EIS was “not considered,” “was incomplete” and “was inadequate.” The final EIS did not include or directly respond to the reviews by the race and social-justice interdepartmental team. Solution: To address the significant disparate impact problems raised by the race and social-justice review, the city should create an authentic partnership with people of color and affordable and low-income housing advocates, planners and developers. Our Seattle Coalition for Affordability, Livability and Equity (SCALE) represents 29 neighborhoods and organizations that are appealing the EIS. In addition to the above issues, the appeal cites significant errors and omissions in the EIS in terms of the impact to the tree canopy, transportation, parks and open space, infrastructure, historic assets and other considerations. The claimed effectiveness of proposed mitigation measures in the EIS are often inconsistent with the city’s own information. In its “grand bargain” to accommodate big developers, the city ignores its obligation to serve the current residents of Seattle who have paid and continue to pay taxes to build and maintain our communities. Besides this injustice, it is maddening to have to pay costly legal fees to get the attention of our elected leaders to redirect these bad housing and land-use policies. We agree: No one should be sticking anything to anybody. 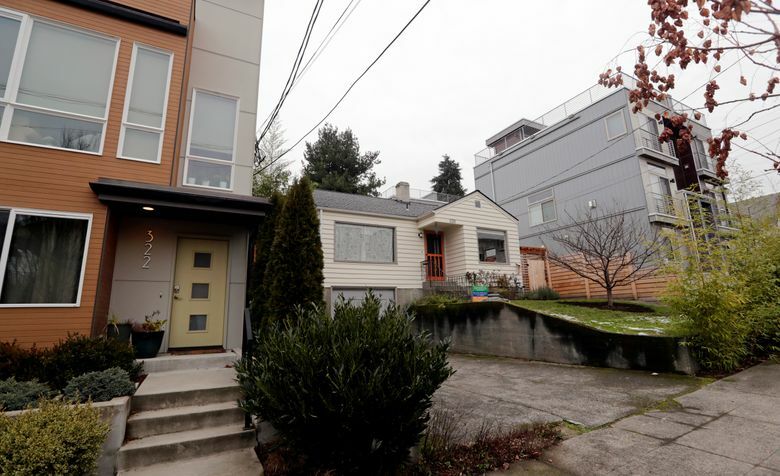 Seattle’s grand-bargain-driven Mandatory Housing Affordability program is a bad deal. Let’s work together to create good housing and land-use policies that work for all. David Ward is president of Seattle Coalition for Affordability, Livability and Equity (SCALE), which represents 29 neighborhoods and organizations. Maria Batayola is vice president of Seattle Coalition for Affordability, Livability and Equity (SCALE), which represents 29 neighborhoods and organizations.